The annual meeting this year, was held on Friday, January 16, 2015, at 7pm, in the Riverside Township Hall. The agenda for the evening will included our annual treasury report, summary reports from the FLOS Board and elections for our 2015 Executive Board and new Board members. More information can also be found in our 2014 Winter Newsletter. Our special guest speaker was be Timothy Wittman, Professor of Art History, Theory, and Criticism at the School of the Art Institute of Chicago. He spoke to Olmsted’s legacy in Riverside. Mr. Wittman has served as a preservation specialist with the Commission on Chicago Landmarks and has publications in media such as View Camera Magazine, Michelin Guide to Chicago, and Guide to Chicago Architecture. 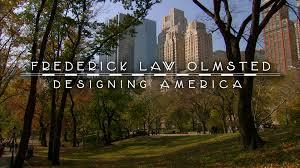 He appeared in the recent PBS Olmsted documentary titled “Frederick Law Olmsted: Designing America.” A segment focused on Riverside will be shared at the annual meeting that did not appear in the version presented on TV.